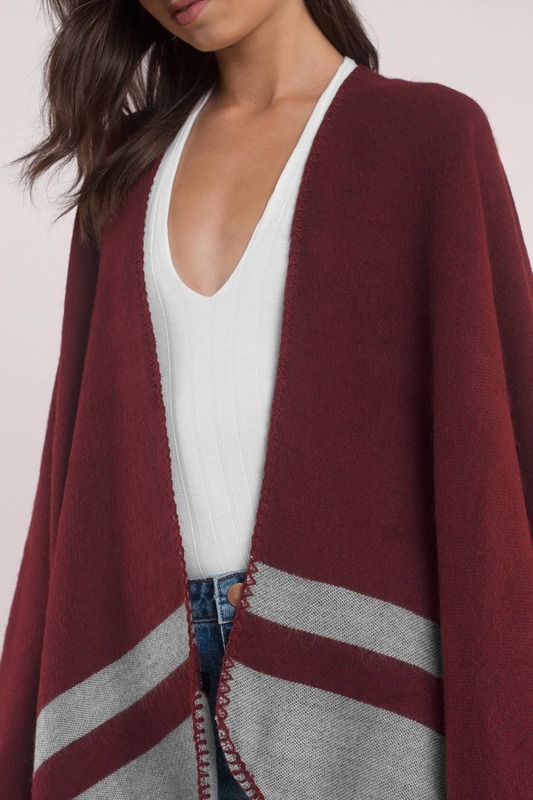 Check out Tobi's Montreal Poncho Throw on the Montreal Maroon Poncho for those chilly mornings and nights. This trendy poncho features a draping open front with thick and thin stripe print at the hem. 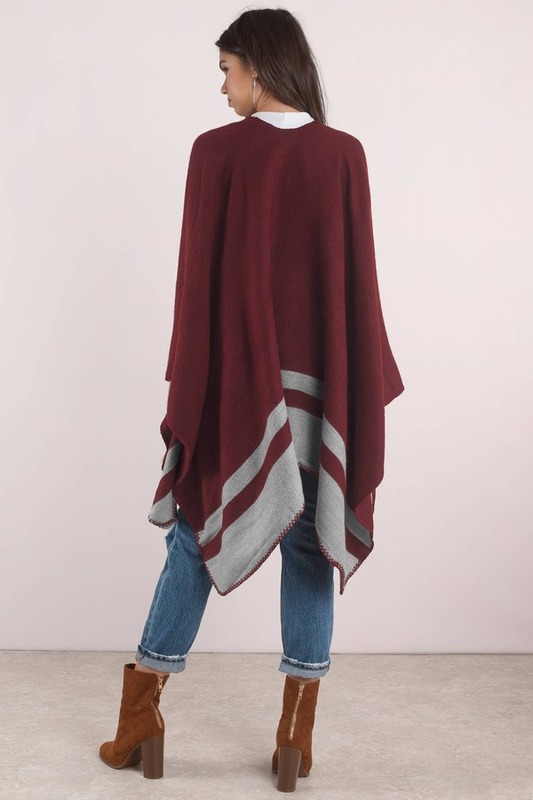 This oversized poncho will look extra laid-back with your fave pair of denim and ankle boots. Cozy at its finest. Throw on the Montreal Maroon Poncho for those chilly mornings and nights. This trendy poncho features a draping open front with thick and thin stripe print at the hem. This oversized poncho will look extra laid-back with your fave pair of denim and ankle boots. Cozy at its finest. Model's profile: height 5'9", bust 31.5", waist 24"